The Arkansas River began flowing during the uplift of the Rockies some 3 million years ago. 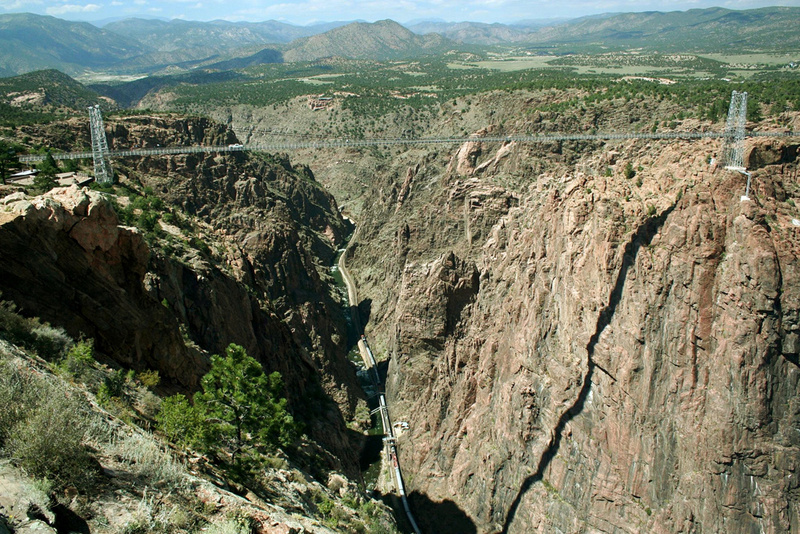 Over centuries, as the mountains pushed farther upward, the river carved the spectacular, 1,250-foot Royal Gorge. Image by Michael Murphy, courtesy of Wikimedia Commons.